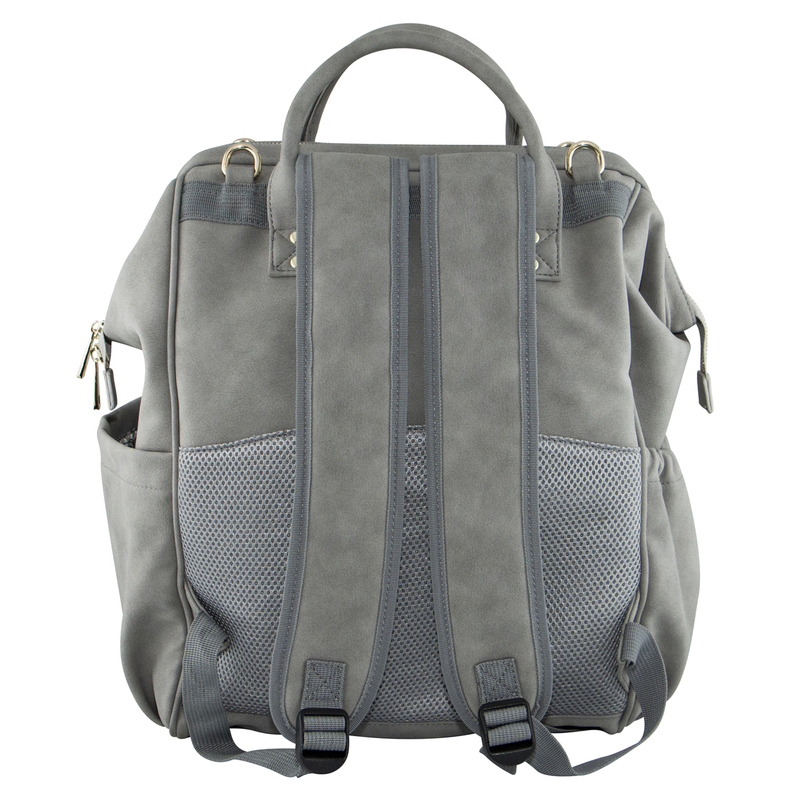 The Isoki Byron Backpack is the ultimate “Hands Free” option for mums on the go! Whether it’s on your stroller or on your back finding anything in this bag is a breeze with its wide hinged opening and easy access pockets. Padded shoulder straps and breathable back panel keep you comfortable while ten inner and outer pockets keep you organised, right down to your wipes! 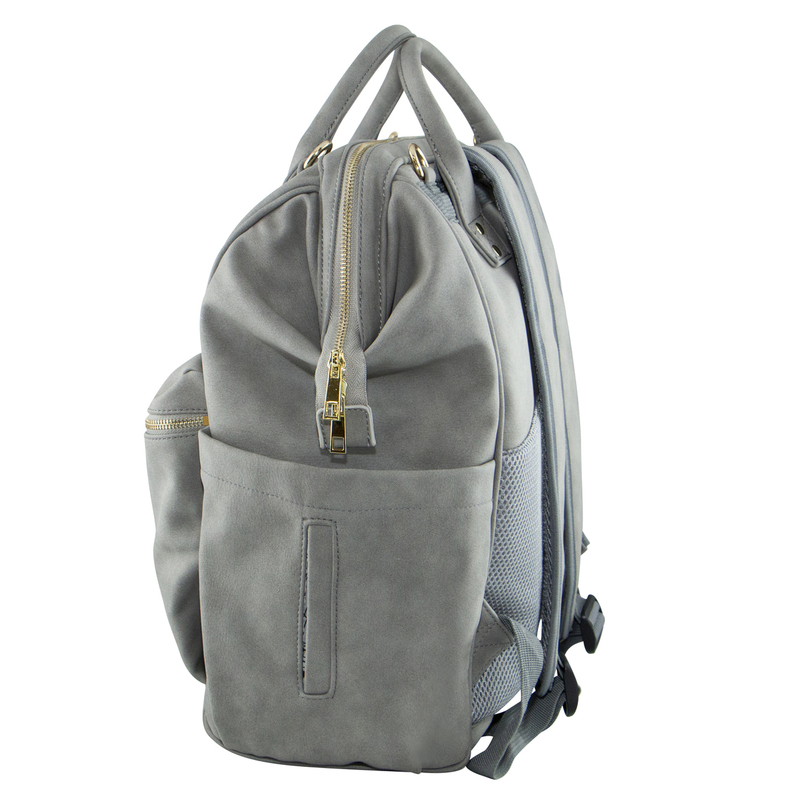 Available in black or stone vegan leather and grey melange or with Isoki’s beautiful bespoke wipe clean lining. 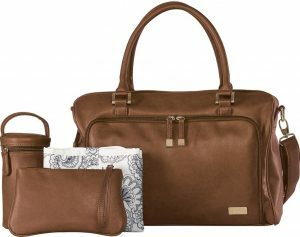 Super stylish for Mums on the move!